The USDA updated their map this year, the first time since 1990. Just about every gardening book out there, as well as many gardening sites, refer to this map as the guide one should follow. This map is the most in-depth ever, with more “micro-climate” zones included this time around. You can search for your state and print out specific information for your area. This Friday is National Arbor Day here in the US. Click the above link to learn about the history of Arbor Day and to check for events in your area. Arbor Day – and the Arbor Day Foundation – are all about planting and conserving our trees. And the Foundation mean business too: every new member receives 10 free trees as part of membership, plus a 33% discount on over 100 trees and shrubs. This is a great deal for gardeners, but also for those on a budget too. 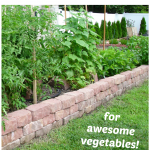 Do you grow vegetables in a raised bed? We do and we love it! If this is a new idea for you, then this article from BHG.com will help explain everything you need to consider. The article is a combination slide show (on the left) with explanatory text (on the right) and provides gorgeous examples of raised beds. Is “gorgeous” the proper adjective to describe a vegetable bed? You bet! 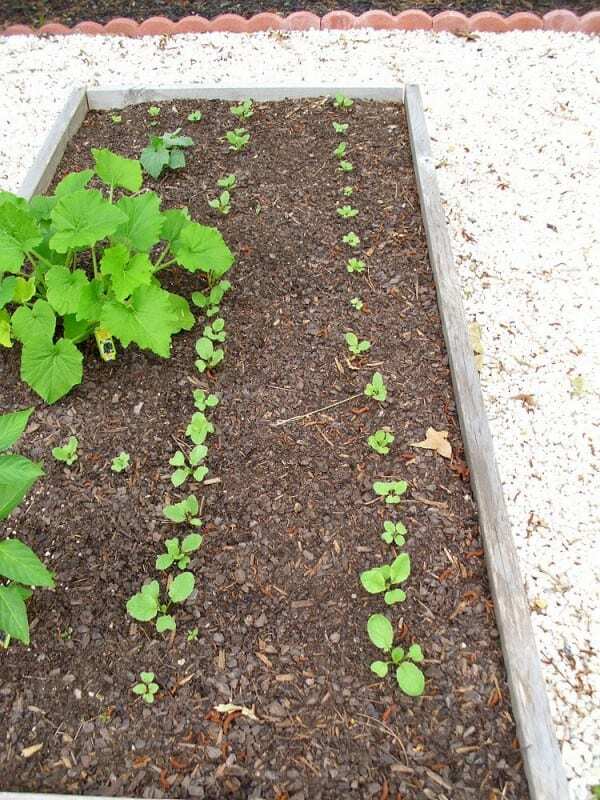 Plan your perfect edible garden with this handy new section on the Gardener’s Supply website. Choose from their pre-planned layouts or design your own. With information on planting conditions necessary for many popular types of fruits and vegetables, you can map out what you want to grow in your kitchen garden and get started on it right away. If you read my posts on Candytuft and Lithodora, you know I’m a huge fan of perennials. Yes, I’ll still be mixing annuals into my gardens this Spring and Summer, but nothing beats perennials for long-term beauty year after year. 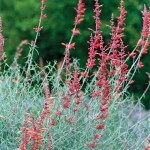 This website is the place to learn about perennials: search their plant database, read about 2012’s Perennial Plant of the Year, and more. This is a great resource. Whether you live in a city apartment, a condo with a balcony for a yard, or a home with a spacious patio, container gardening is a great way to grow a garden on your terms. There are containers that attach to fence posts, railings, walls, and there are pots and urns of every shape, size, and material imaginable. This link takes you to the Container Gardening section on HGTV’s website, where you can find a wealth of helpful information and ideas. And, of course, container gardening “eye candy” always inspires too! I am hoping this weekend isn’t a total washout here so I can continue tackling a long list of outdoor chores. First up will be weeding around the Leyland Cypress trees. Not fun but definitely necessary if I want to do any fertilizing and mulching next. Will you be doing any gardening this weekend? 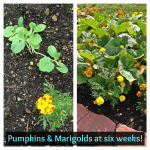 I’d love to hear about your own gardening projects! 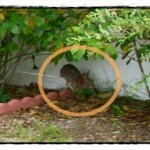 Watership Down in our backyard! 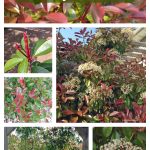 Red Tip Photinia is one of my favorite evergreens! In Oregon it’s best to begin setting out plants around Memorial Day to avoid possible spring freeze. On my side of town, tomatoes don’t ripen, so I leave the growing to my father–he’s an expert. This all having been said, I’m putting together primrose baskets (indoor gardening for the time being) for my mother and me to welcome May Day! Nice that your Dad grows great tomatoes! 🙂 Two years ago, when we grew tomatoes in containers on our patio (shown in the photos), we had a bumper crop; but last year growing in the beds we mainly were successful only w/ the cherry-sized tomatoes: not enough sun. This means we will be moving that entire raised bed system across the yard this year. Another blog post! Oh thank you for this! 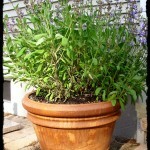 I am trying to start a container garden for our patio. I could use all these tips! i stink at gardening! lol. these tips are great!